When part of Greenland’s Petermann Glacier breaks off, the piece begins a slow journey down to eastern Canada. In three or four years, the rogue iceberg might arrive on Newfoundland’s shore, and the elements eventually dissolve the glacial fragment. 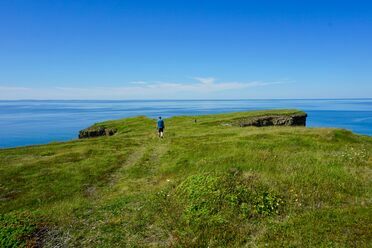 But instead of allowing these floating masses to disappear, Newfoundlanders have decided to harvest pieces of the 10- to 20,000-year-old ice. This is no easy feat; to even legally perform the task, interested parties must obtain a rare, but real, seaborne glacial ice-harvesting license. Managing to collect pieces without flipping the iceberg—a natural phenomenon that can prove fatal—gives locals access to the purest water on Earth. Once all the hullabaloo surrounding safe iceberg collection dies down, it’s time to drink. 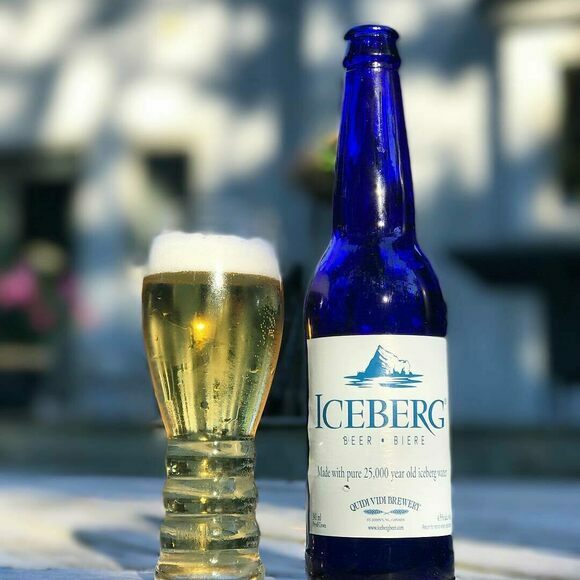 At Newfoundland’s Quidi Vidi Brewing Company, brewers turn the chunks of ancient, compacted snow into a lager, appropriately named Iceberg Beer. Some tasters say the golden brew has a clean, light taste imparted by the water, which is completely mineral-free and filled with lots of tiny bubbles. Critics, however, say that the beer’s flavor is bland and there’s little appeal outside the interesting iceberg origins. If you’d like to try the brew for yourself and really want to hammer the point home, serve Iceberg Beer over a chunk of iceberg ice, then pour some out for the mammoths before enjoying. The home of Iceberg Beer serves its craft selection on tap.